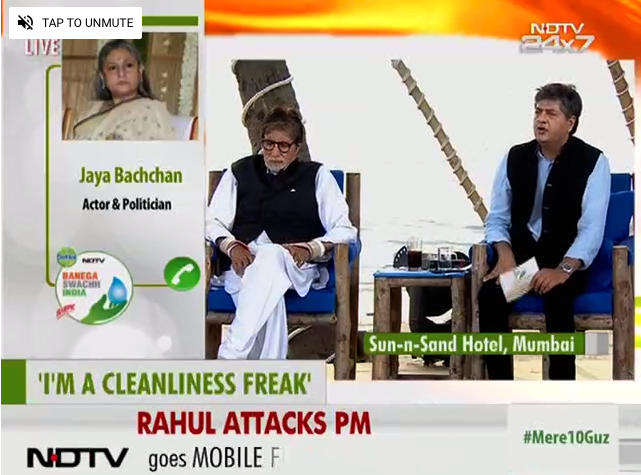 We leave you with the best moments of the Cleanathon@5. 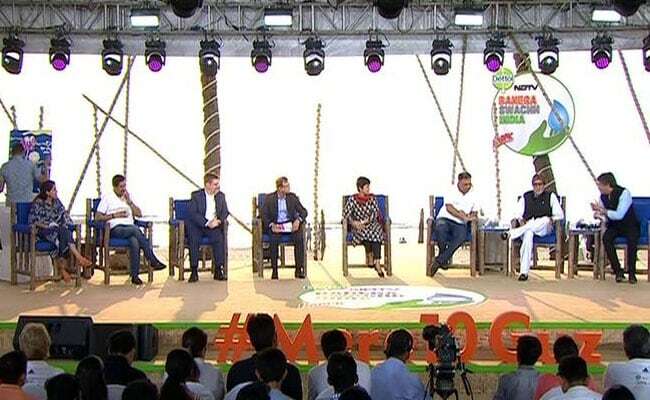 And that is a wrap on Cleanathon@5. 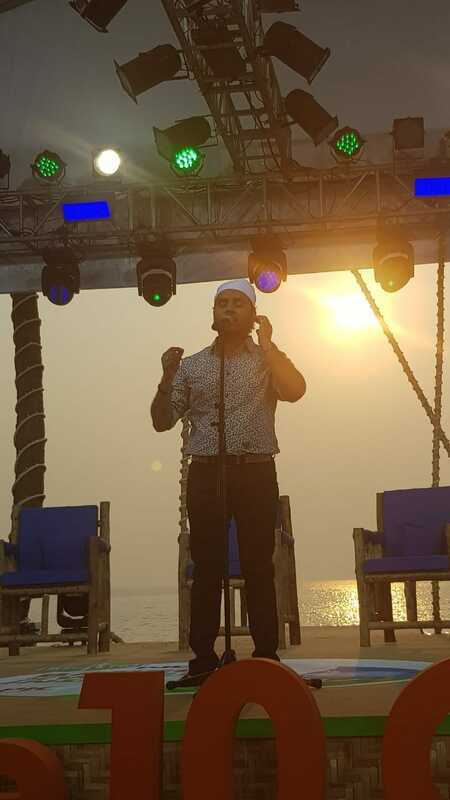 The best is saved for the last, singer Sukhwinder Singh gives a power packed performance for the Cleanathon finale. 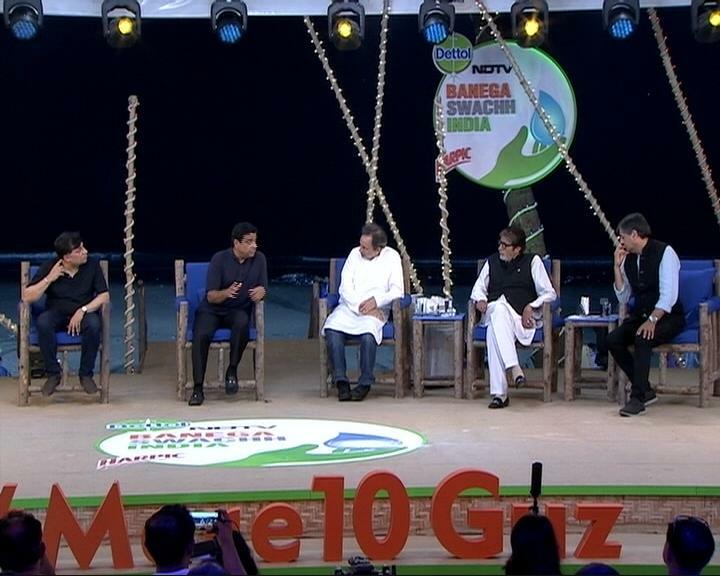 RB's Rakesh Kapoor, Ronnie Scewvala, Amitabh Bachchan and Vikram Chandra do a recap of the day, the successes and challenges of the Clean India movement. 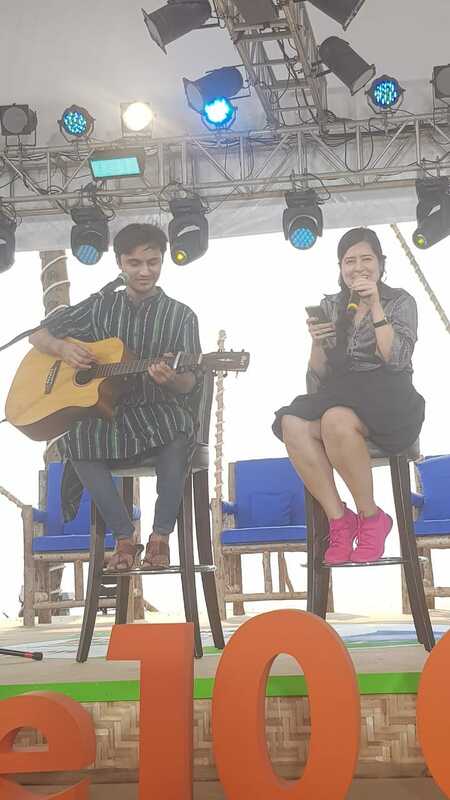 Performing now on Cleanathon stage, Shilpa Rao. 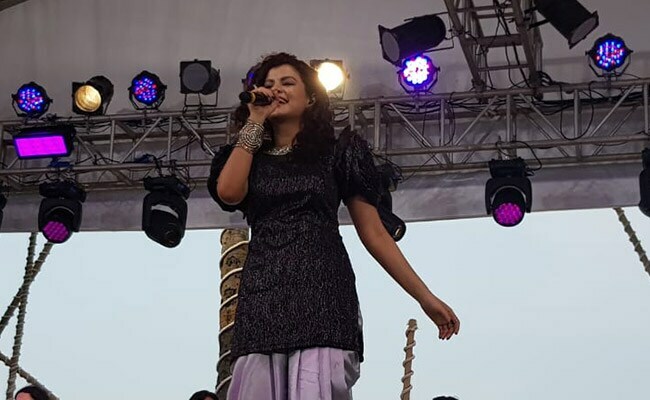 In the final lap of the 12-hour Cleanathon back to back performance light up the stage. 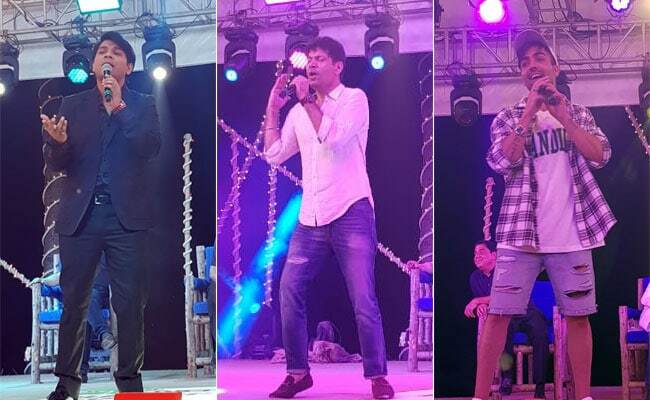 Presenting Ankit Tiwari, Harrdy Sandhy and Jassi. 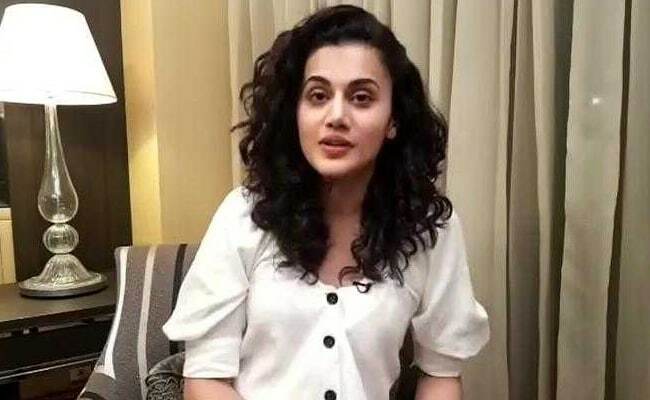 Taapsee Pannu on Cleanathon: At my stage, where I am today, I don't think I can pinpoint and say why this was not done, who is going to this or do that! 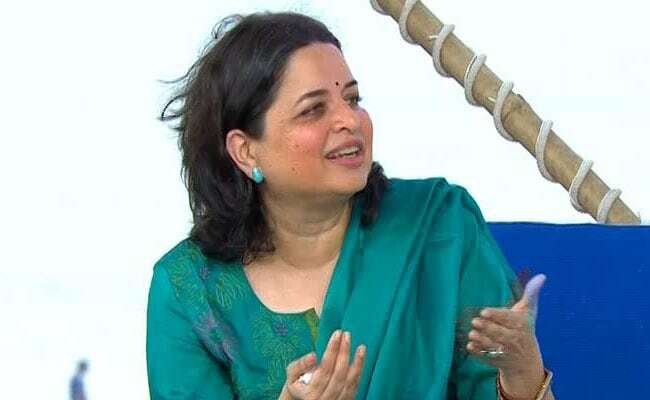 As an Indian citizen, at an individual level, at my level are we recycling in our house? There are two separate bins in my house for recyclable waste and non-recyclable waste. 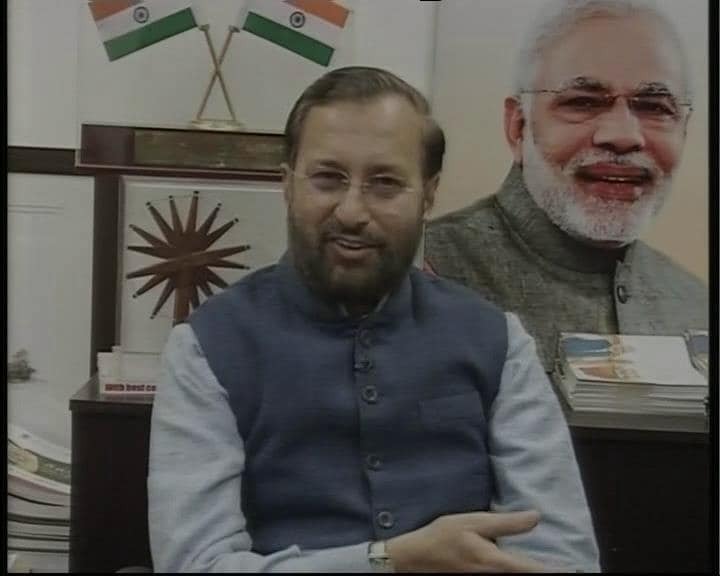 Prakash Javdekar on Cleanathon: While in environment ministry, I came up with many waste management rules. 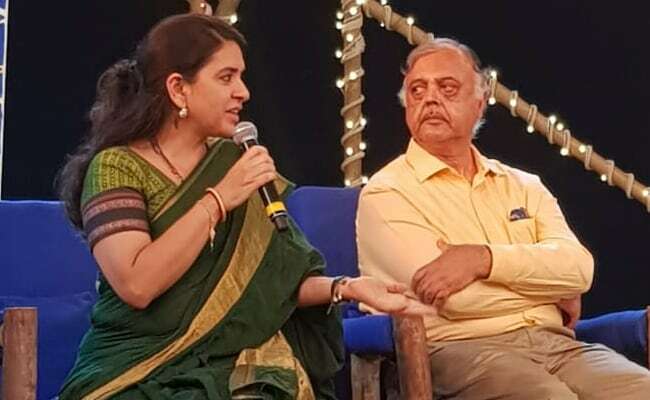 By the time I joined the HRD ministry, the campaign had become a public movement, with schools participating and some 6000 colleges that have participated in the campaign. 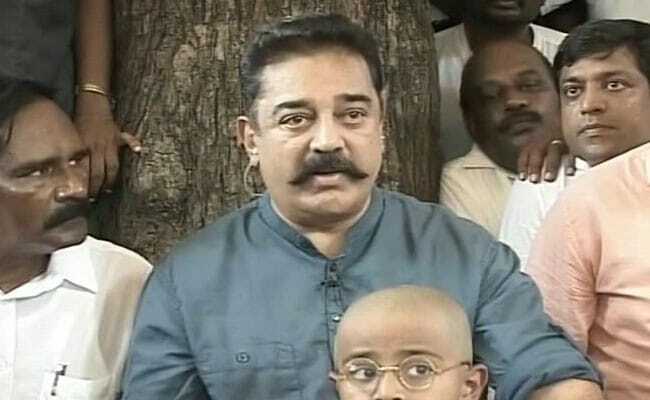 We have also started scholarship for colleges to work in the villages and spread the message of safe sanitation. 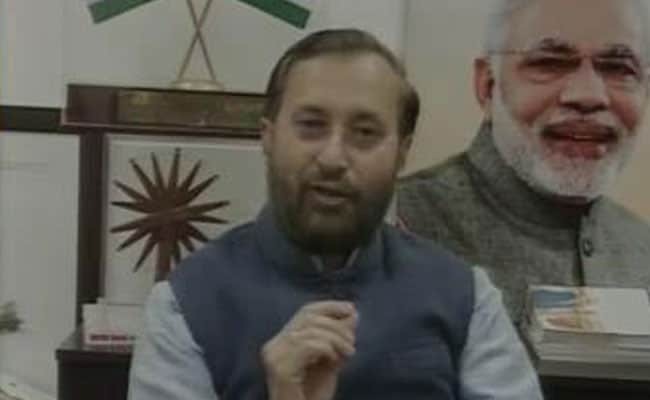 Prakash Javdekar, HRD Minister joins the Cleanathon. 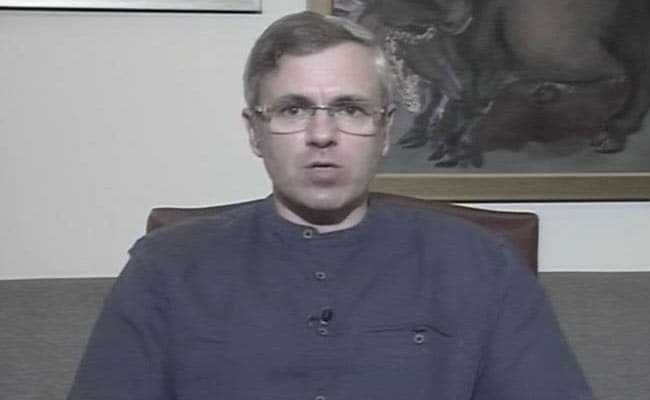 OmarAbdullah: Jammu and Kashmir is widely considered one of the beautiful parts of the country but we are also suffering from the problem of plastic waste. It is actually amazing how much social consciousness is developing in the far flung regions of my state. 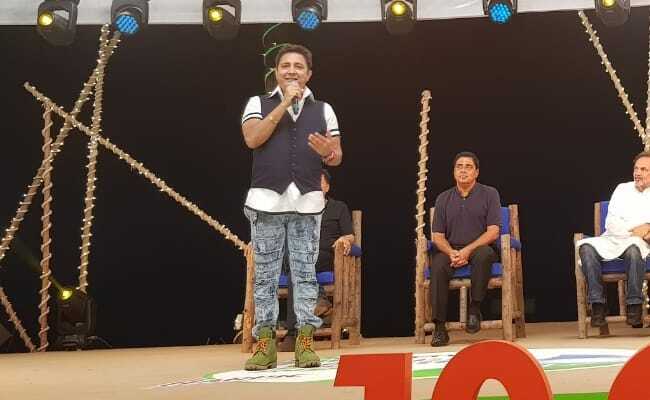 There are multiple dustbins for waste segregation and it is an initiative of the people and not so much the government. 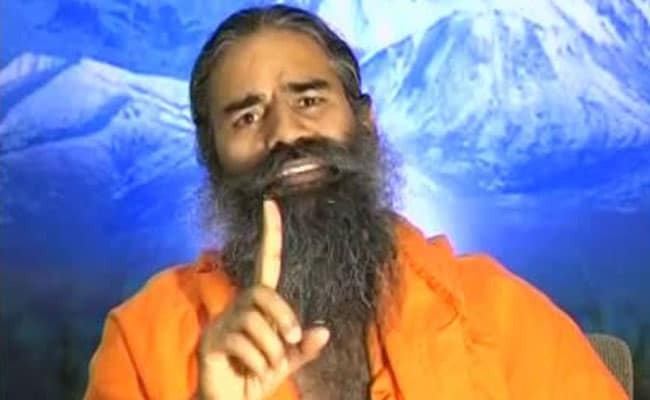 People there want to protect the eco system, protect the Himalayas. 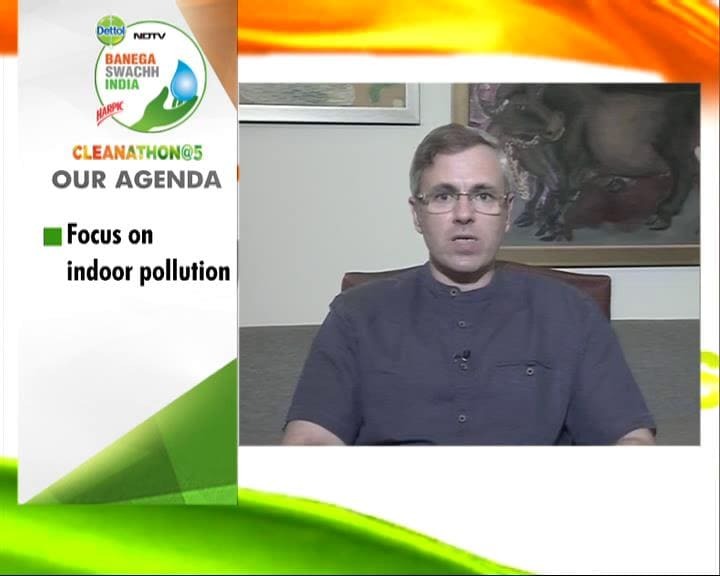 National Conference leader, Omar Abdullah joins the Cleanathon. 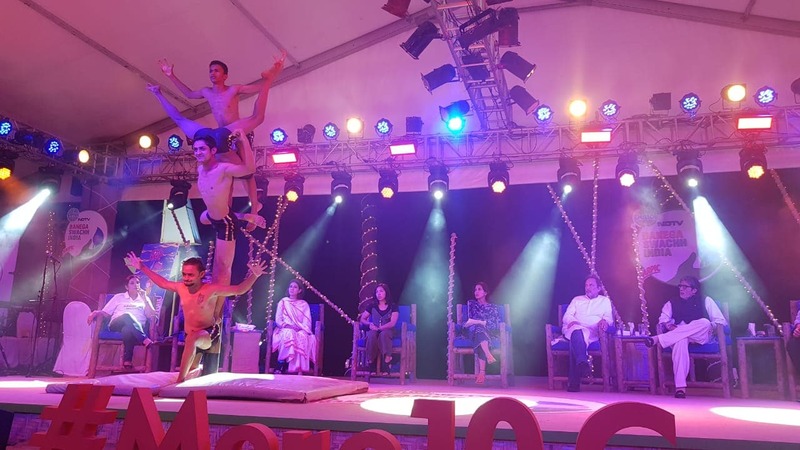 Into its last hour the 12-hour #Cleanathon sees a breathtaking Mallakhamba performance, a form traditional martial arts. 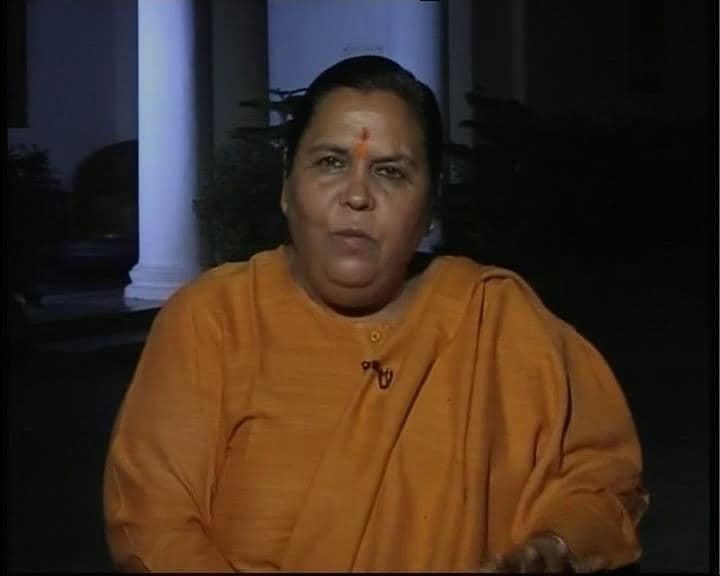 Uma Bharti on Cleanathon: We have made India 90% ODF. 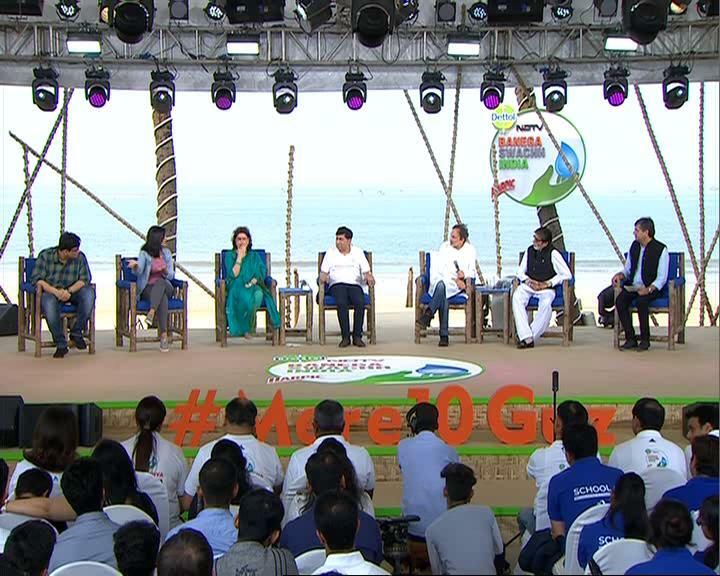 Being ODF is different from Clean India. 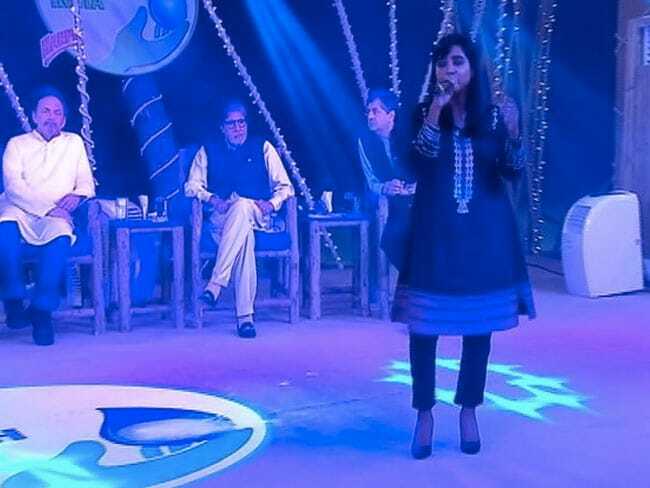 ODF India is the right of every Indian and Clean India is the responsibility of every citizen. 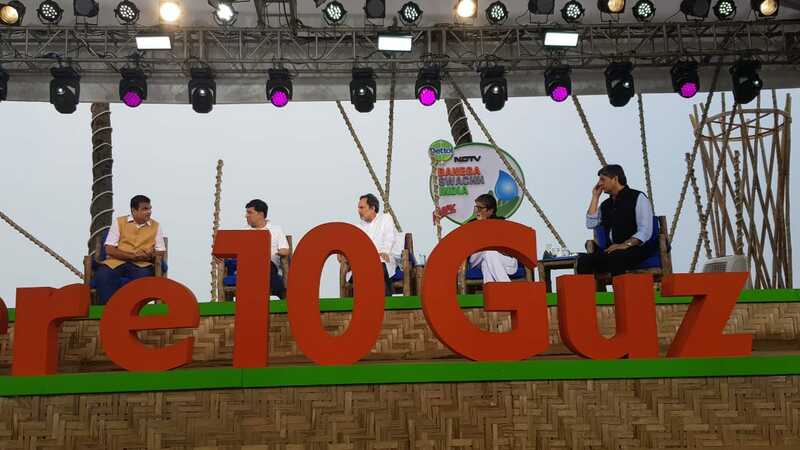 After achieving ODF status in many places we are now moving towards Clean India. 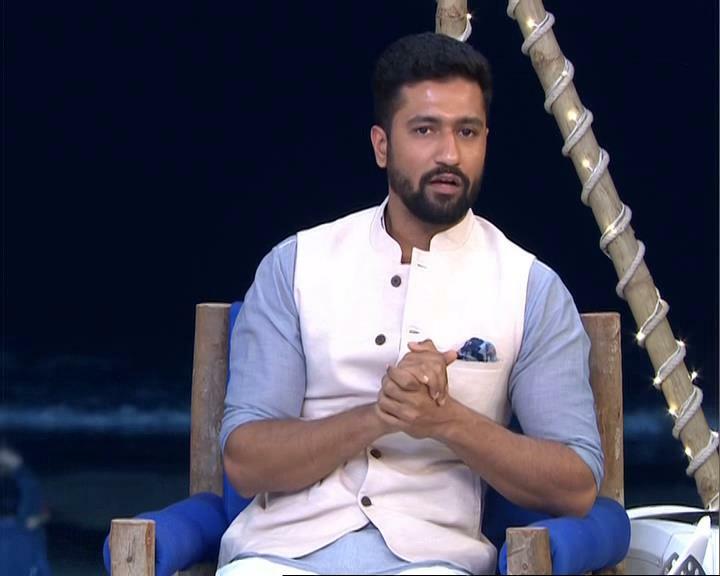 Vicky Kaushal on Cleanathon: I believe in a nation of 1.3 billion people, no government will be able to manage cleanliness unless it comes from within the people individually. 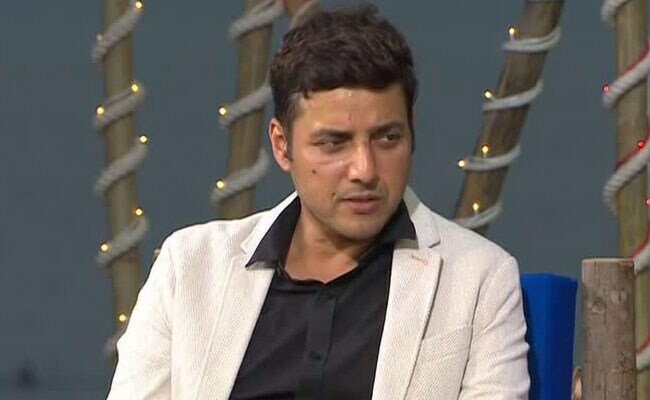 Vicky Kaushal joins the Cleanathon. 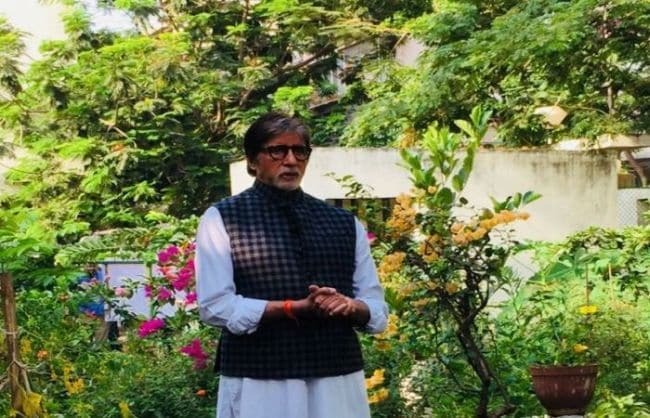 Amitabh Bachchan: I want to contribute 50 machines to the World Toilet College. 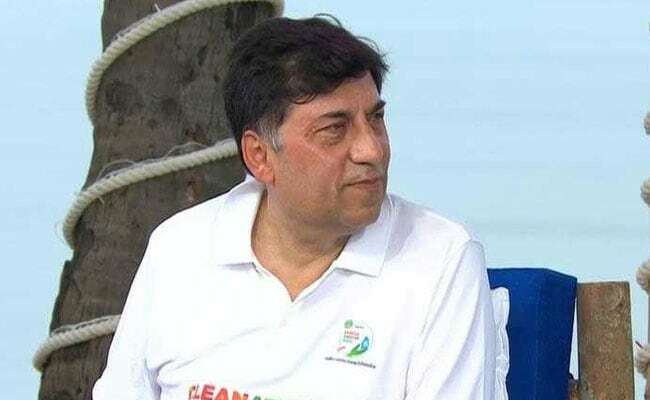 RB's Rakesh Kapoor: On our part, I will make sure that my company multiplies your contribution by 6 times. 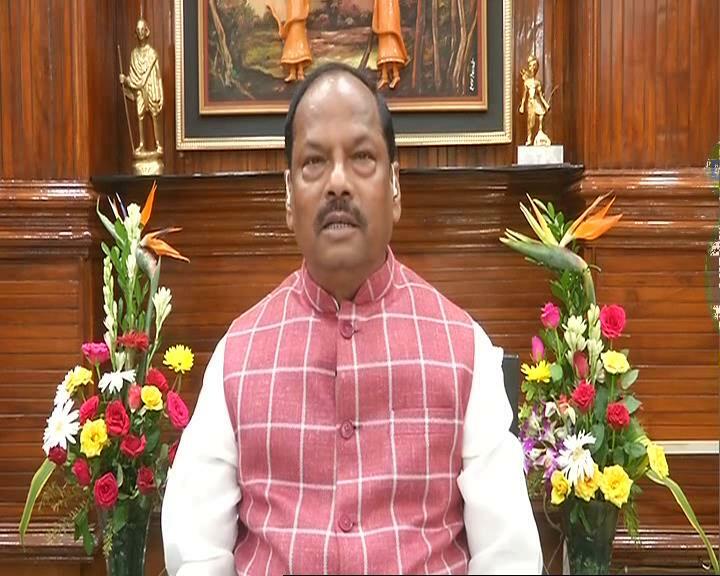 Narasimhan Eswar of RB: We have with the help of the Government of Maharashtra, we have set up Harpic World Toilet College. We recruit manual scavengers and we ask them to go through a three week course in which we teach them how to clean drains with the help of machines without getting inside the drains and in these three weeks they are also paid a stipend equivalent of the money they usually make. They are also given training on soft skills. 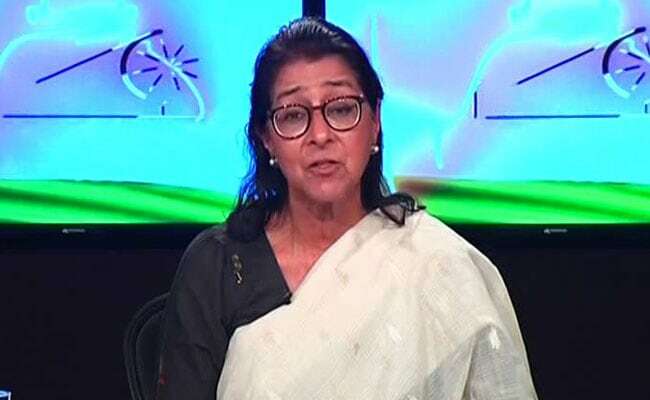 Shaina NC, BJP Leader: Dignity of labour - we all talk about it, inhumane labour is simply not acceptable. 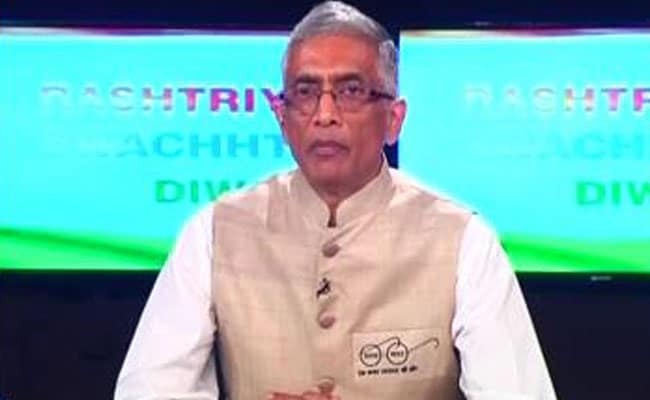 Our government is very clear whether it is sanitation or manual scavenging, we are trying to cover all aspects. 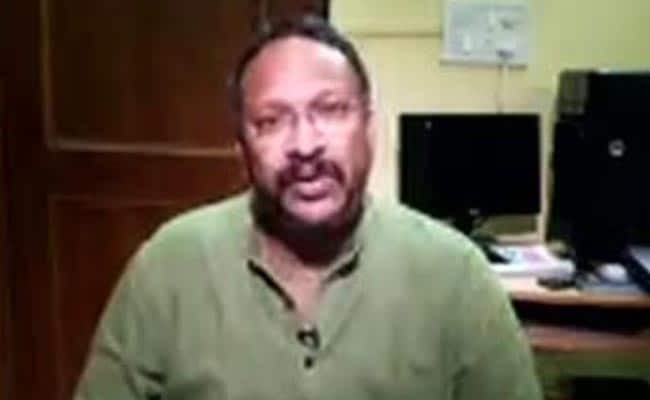 Bezwada Wilson, National Convener, Safai Karmachari Andolan: The situation is so pathetic that every human should respond. how can we live seeing fellow human being cleaning the drain. 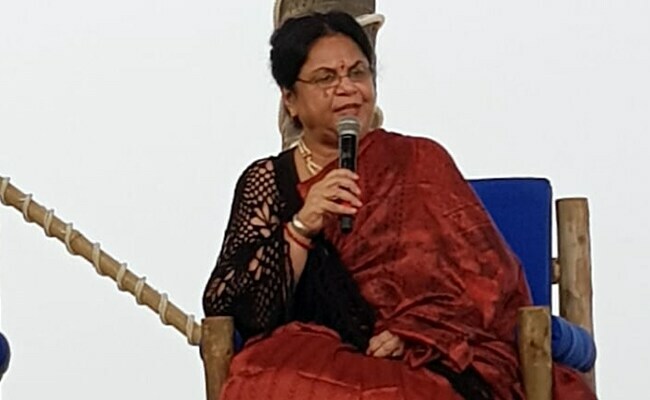 When you know that thousands of people die in manual scavenging and in a months time, in the capital 11 people have died then how can I or any of us can be quiet? 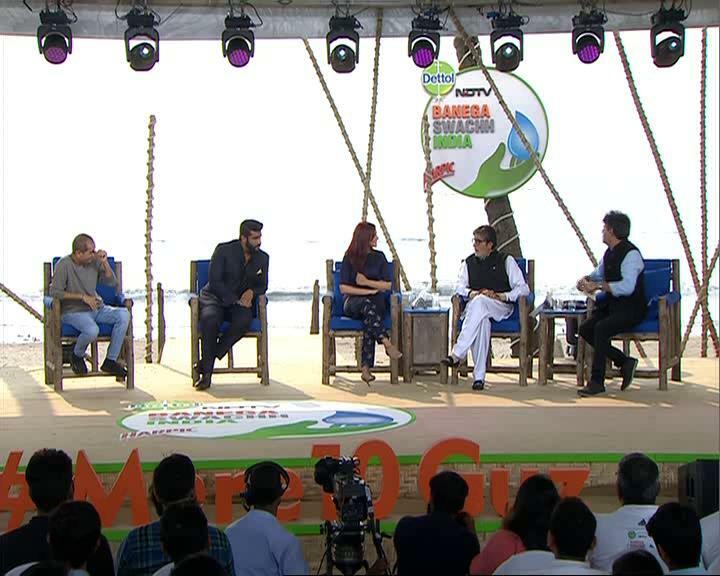 Afroze Shah, Versova Beach Clean-up Warrior: The biggest challenge is to bring people on board. We have to reach the people at the lowest level. 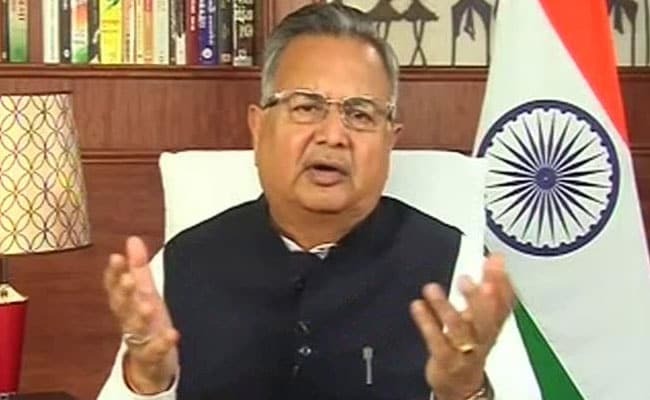 We have to move the things at the ground level, only then we can make any real difference. 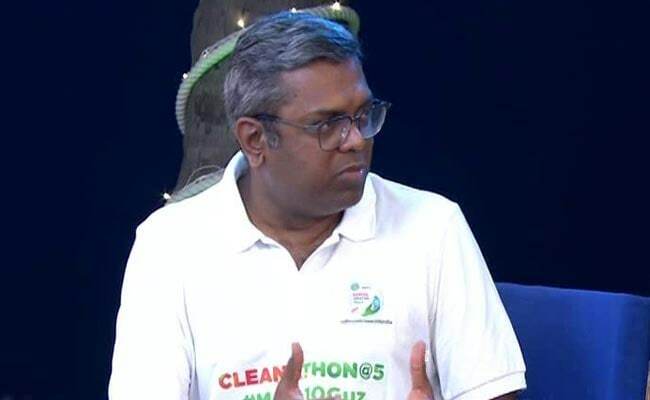 Parameswaran Iyer on Cleanathon: We just concluded Mahatma Gandhi International Sanitation convention we had participation from 65 countries. The key lesson learnt from the campaign is the 4Ps- Public, Private, People Partnership. 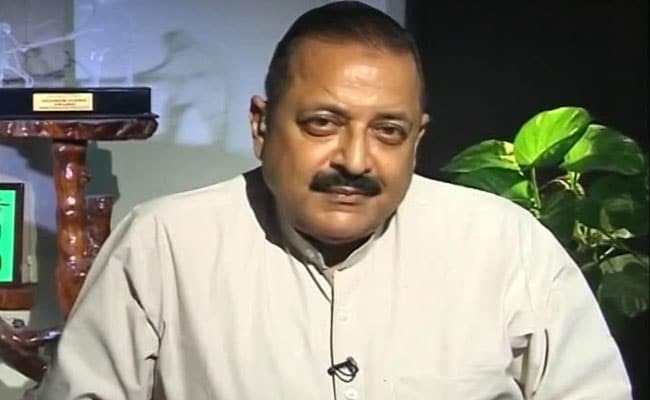 This campaign has become a jan andolan (People's movement) and is no more a sarkari (Government) initiative. 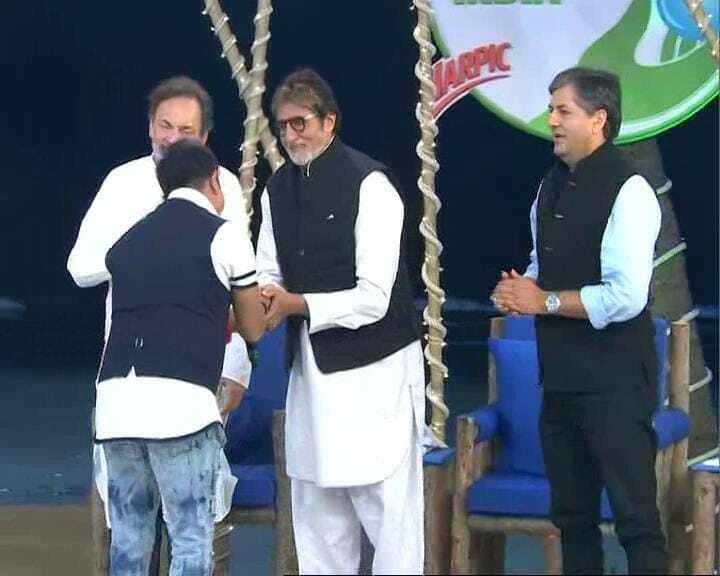 Media has been playing a very important role in making swachh Bharat a people's movement. We are now focussing on ODF plus. 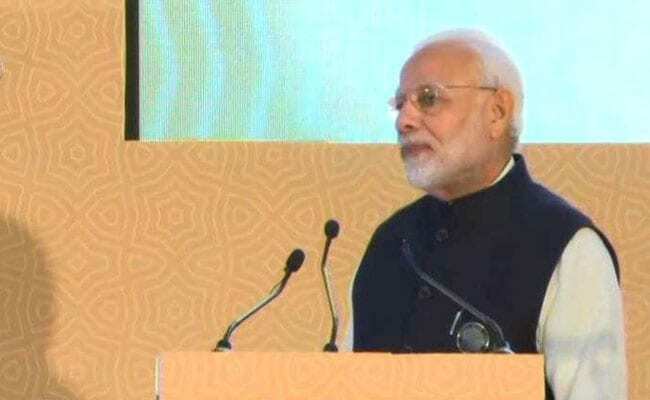 We have made excellent progress and we will achieve the Prime Minister's deadline of October 2, 2019. 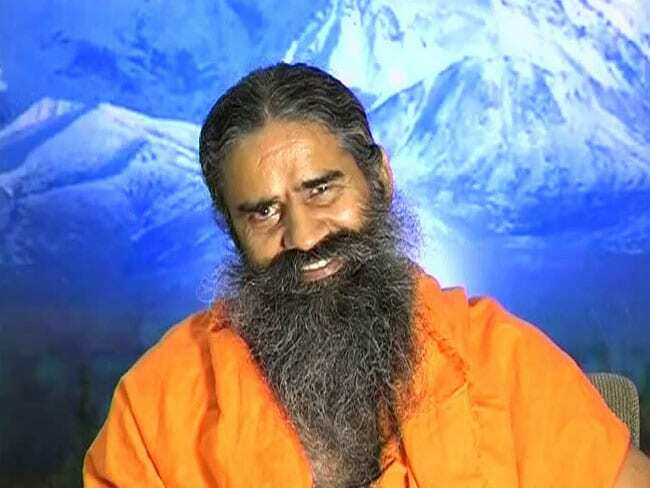 Baba Ramdev on Cleanathon: I want to say, wherever toilets are being built, water should be provided too. because without water toilets are only creating more dirt, diseases and problems. 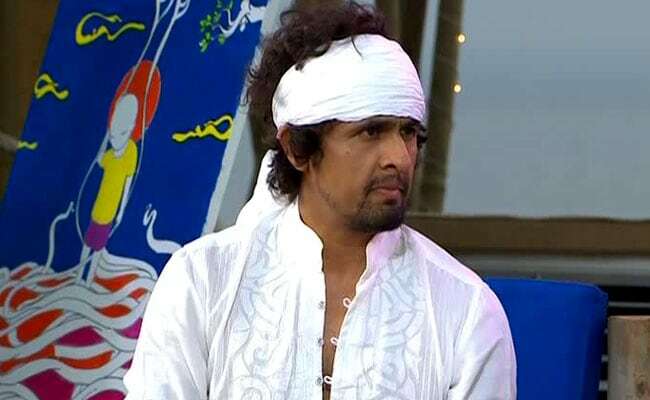 Sonu Nigam on Cleanathon: Public toilets are so dirty everywhere because we do not know how to use toilets. 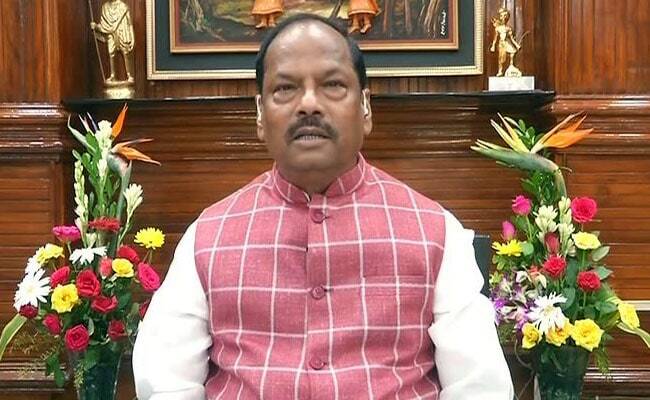 I am happy that now swachhta has been taking up a place in people's lives through such initiatives by the government, organisation and people like you. 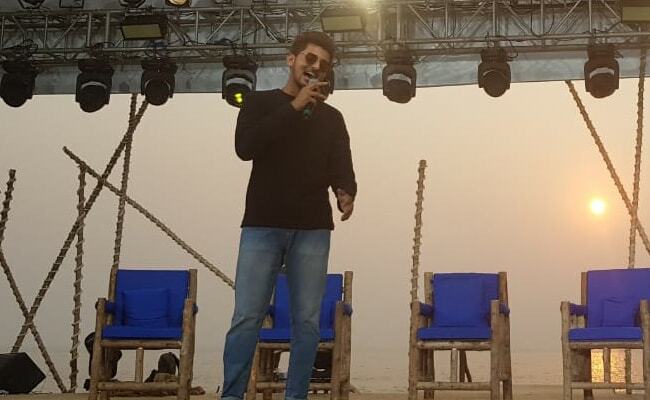 Darshan Raval gives an energetic performance against a scenic sunset. 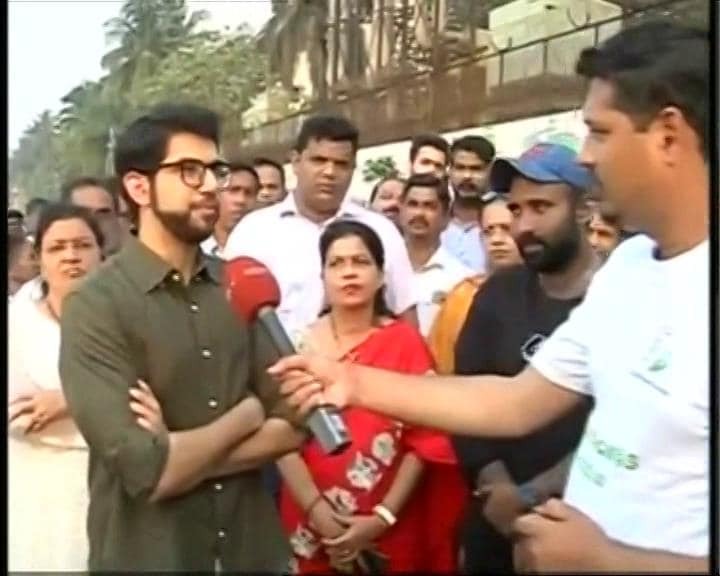 Aaditya Thackeray on Cleanathon: It is a habit for us to throw things around but fortunately we are now also inculcating the habit to start cleaning up. 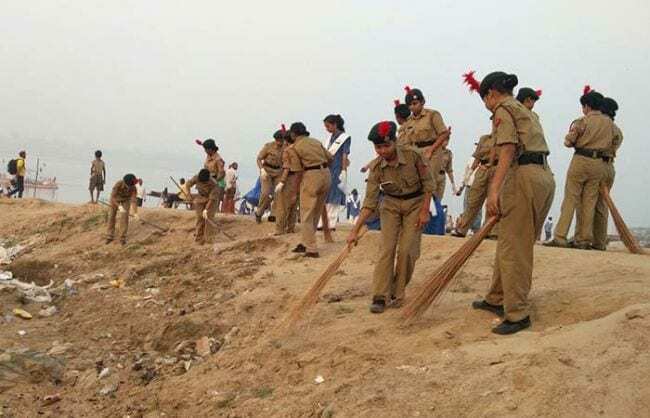 We are going around and cleaning the beaches. We are one of the few cities having marine assets. We have turtle and other marine creatures coming to the beach in our city. We need to preserve it. 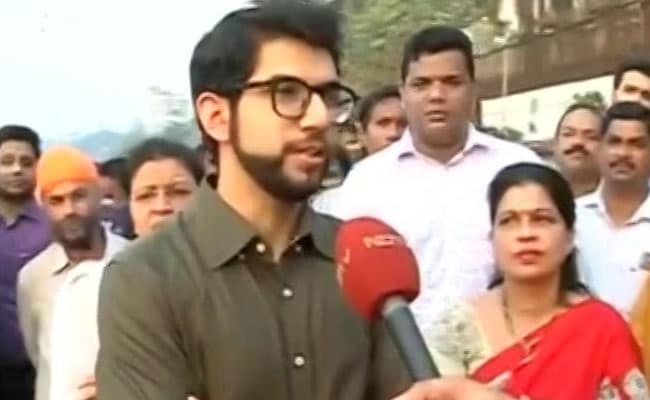 Shiv Sena's Aaditya Thackeray joins the Cleanathon from the Dadar beach clean-up. 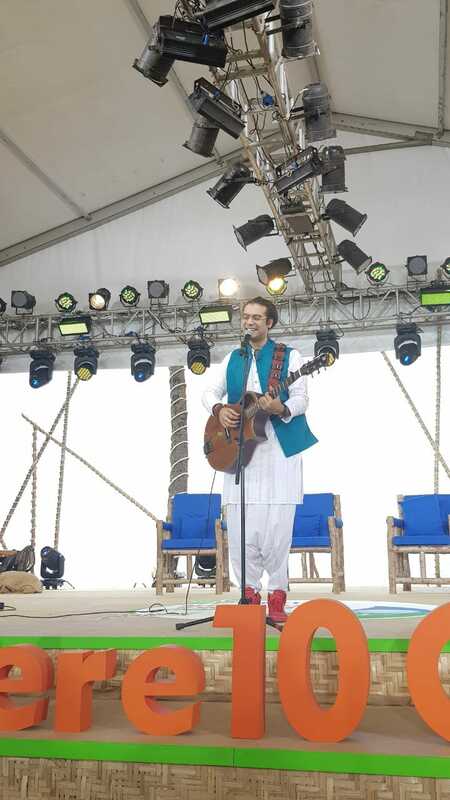 As the Cleanathon enters its last four hours and the sun starts setting, Javed Ali mesmerises the audience with a soulful performance. 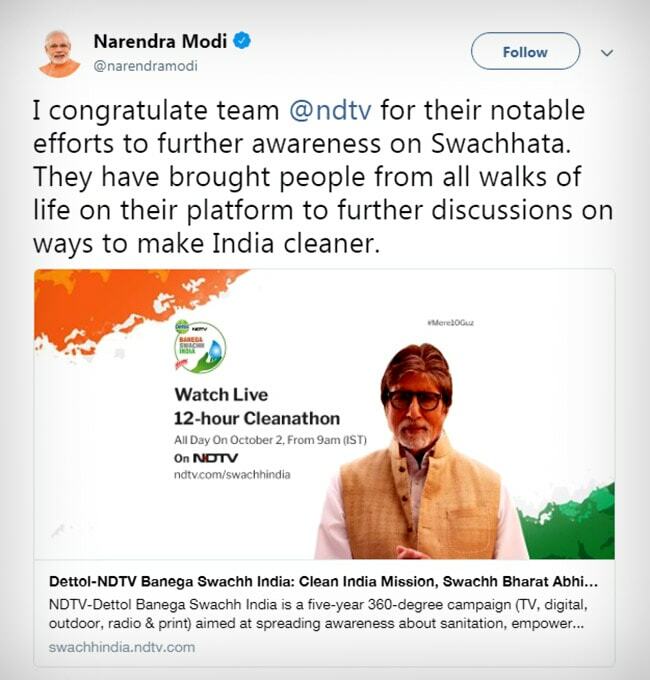 Prime Minister Narendra Modi tweets his appreciate for the efforts of the NDTV-Dettol Banega Swachh India Cleanathon. 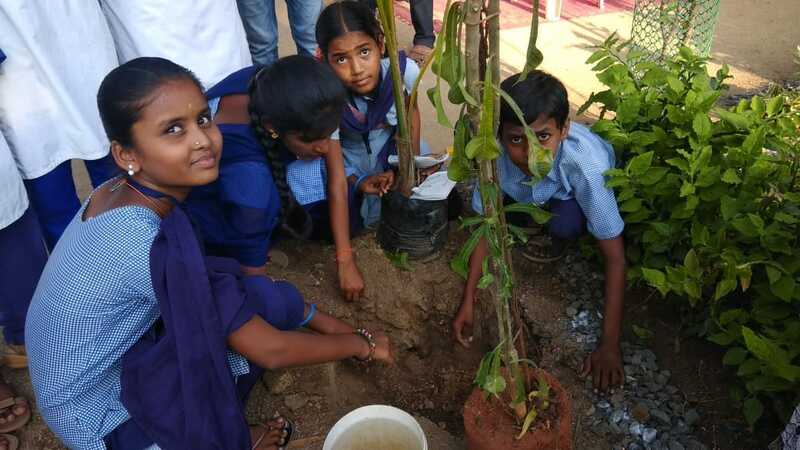 Zila Parishad High School students show why children are truly the agents of change and why the success of Clean India depends on them. 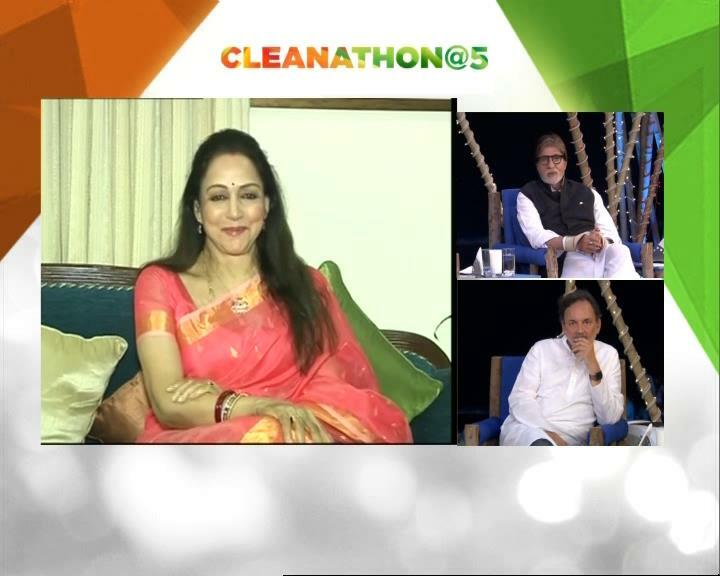 Clean India is healthy India discusses the expert panel on Cleanathon. 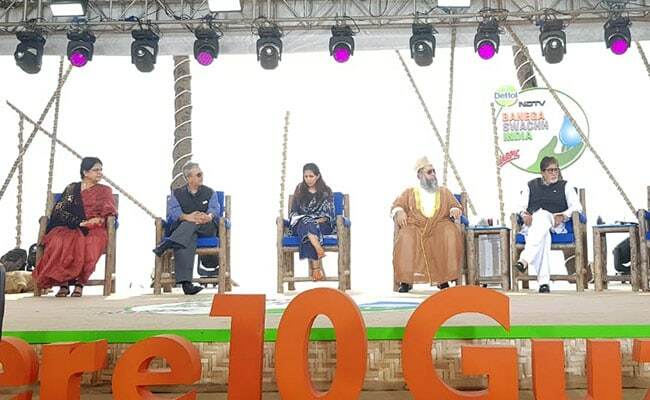 Namaste England team Arjun Kapoor, Parineeti Chopra and Director, Vipul Shah join the Cleanathon. 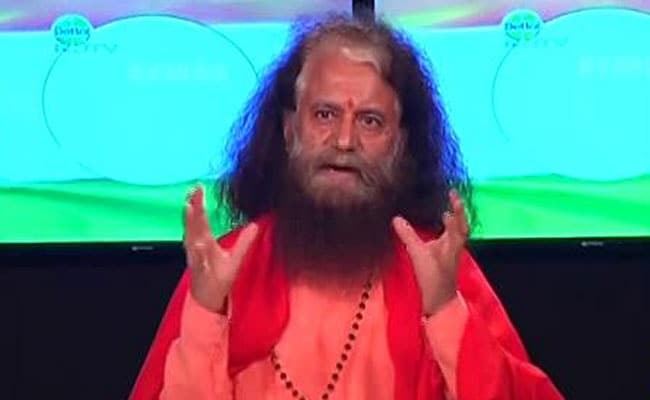 Swami Chidanand Saraswati on Cleanthon: We will be asking all the dharm gurus during the Kumbh to organise inter faith programmes on sanitation and cleanliness. 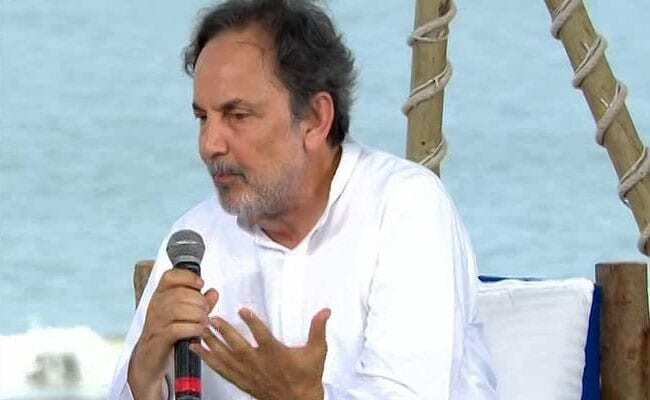 Given the state of the river, before we bathe in Ganga we must give bath to Ganga, do not throw waste in the river and if you find plastic in the water remove it. 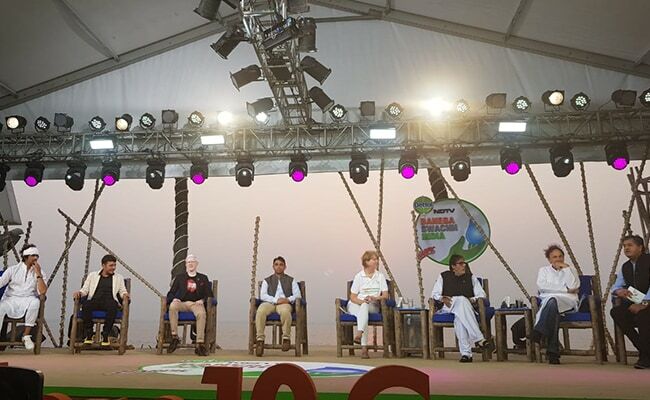 Panel comprising experts and faith leaders discuss the impact of sanitation on health. Many diseases, including vector borne diseases can be prevented by adopting simple practices like handwashing. 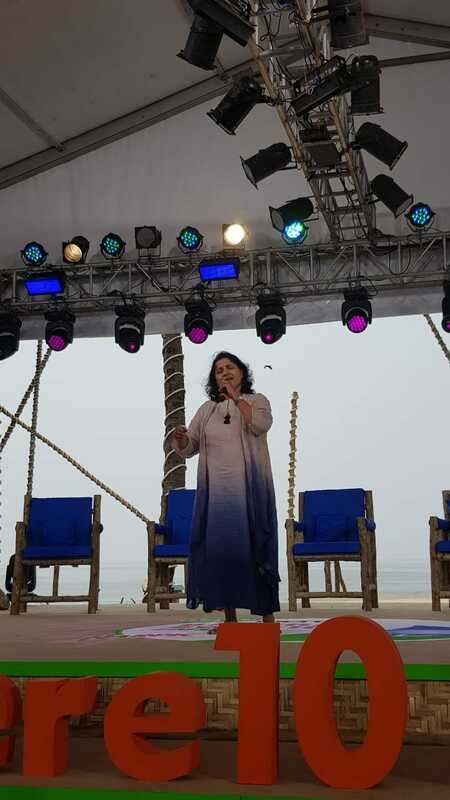 Vibha Saraf performs at the Cleanathon. 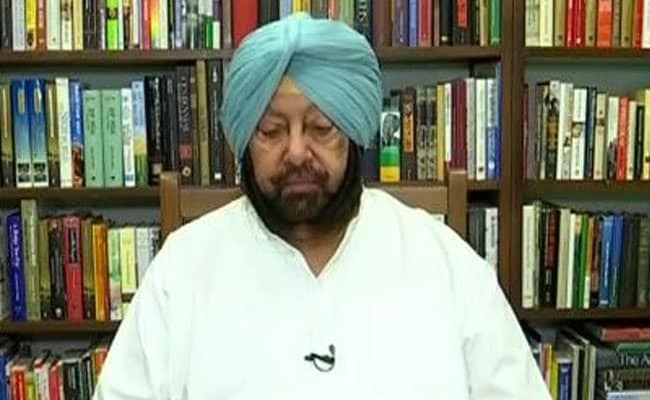 Chief Minister of Punjab, Captain Amrinder Singh joins the Cleanathon to talk about measures being taken to tackle stubble burning and curtail air pollution. 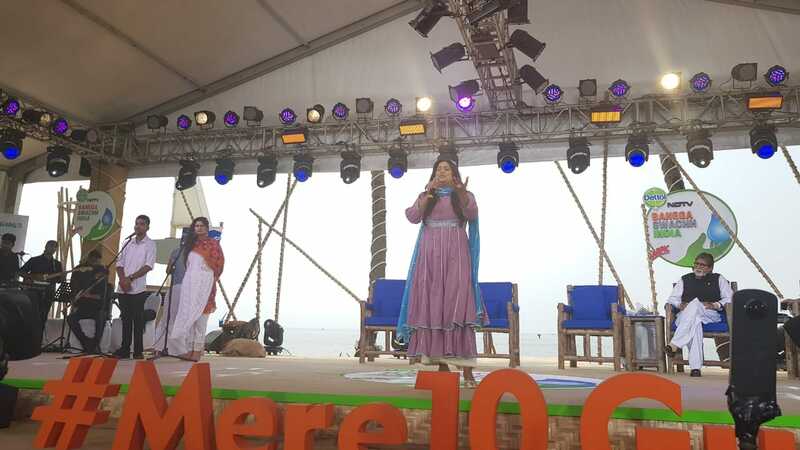 During the Cleanathon, children talk about how their school is a far better place after safe sanitation practices like handwashing, menstrual hygiene were introduced. Enrolment and attendance have both gone up, and even the pass percentage has gone up from 32 per cent to 100 per cent. 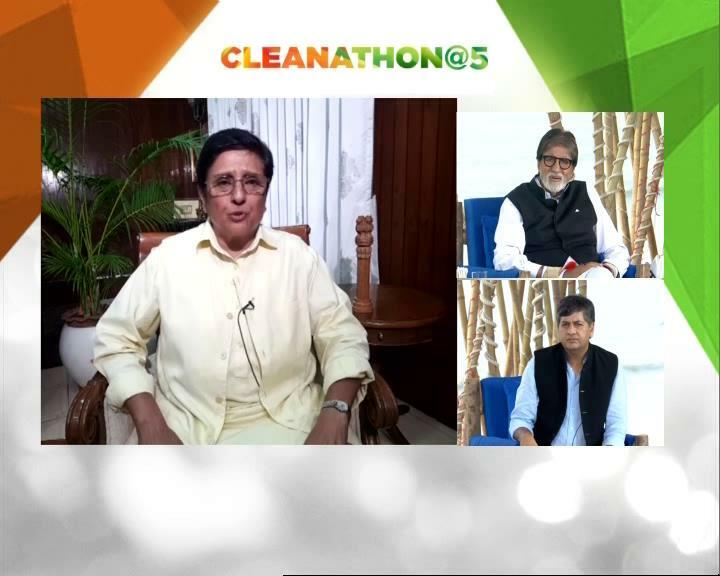 Kiren Bedi on Cleanathon: We have fixed the sanitation problem in Puducherry. All our 97 villages have toilets now. 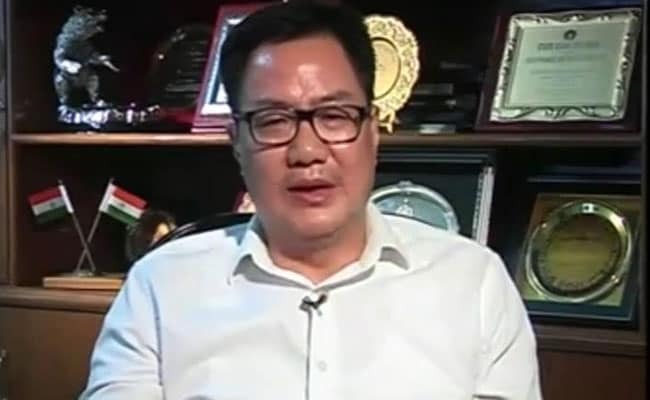 We will fine tune the facilities in the next 3 months. And we find that women are the biggest beneficiaries of toilet construction. 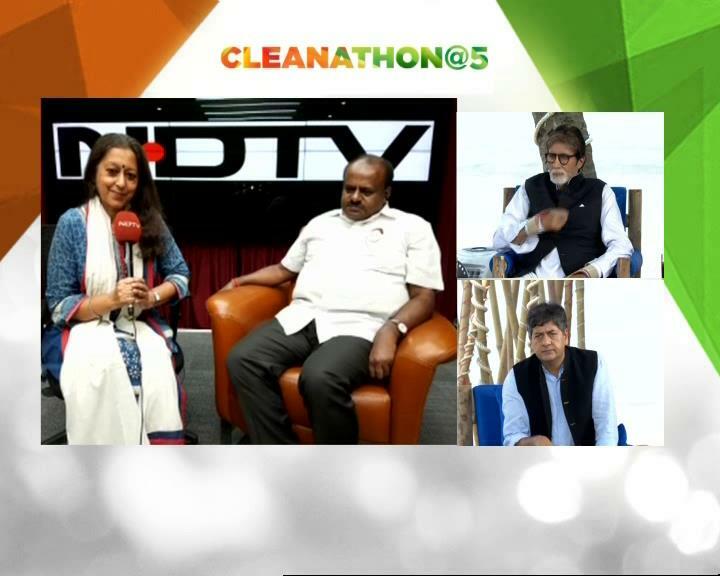 Chief Minister of Karnataka, H D Kumuraswamy joins the Cleanathon. 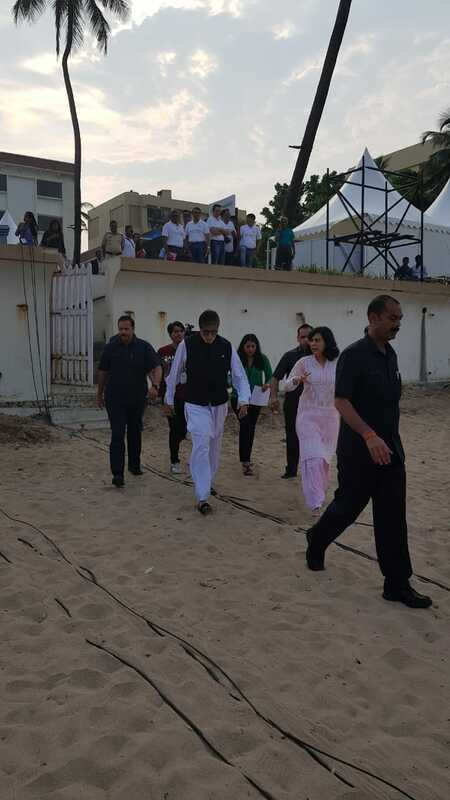 Afroz Shah during the Versova beach clean-up earlier in the day. 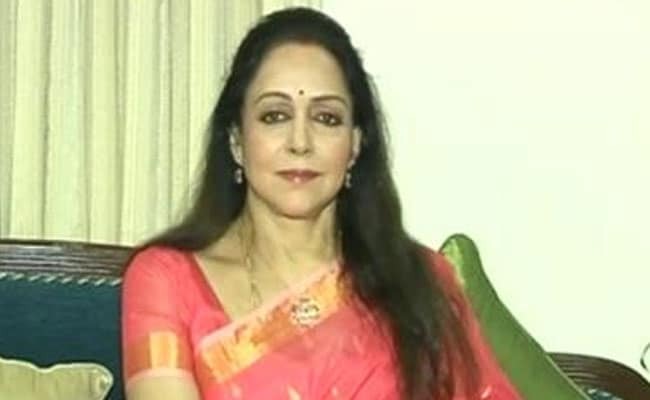 When we talk about Swachh Bharat we only think about sanitation and hygiene and do not think about the health aspect. We need to consider how SBM is impacting health. To me water and sanitation has multiple dimensions. Contaminated water leads to infection, nutrition means food to everyone but it is just not that. It is important to retain the nutrition which is bigger problem. 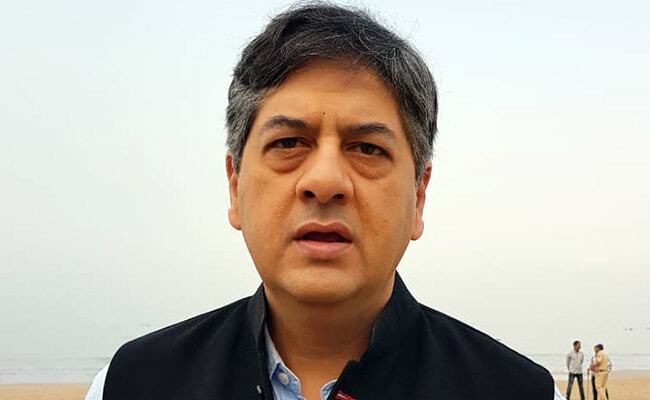 Move ahead of the beginning recites Prasoon Joshi in a poem to highlight the challenges that lie ahead of the Swachh campaign like lack of water. 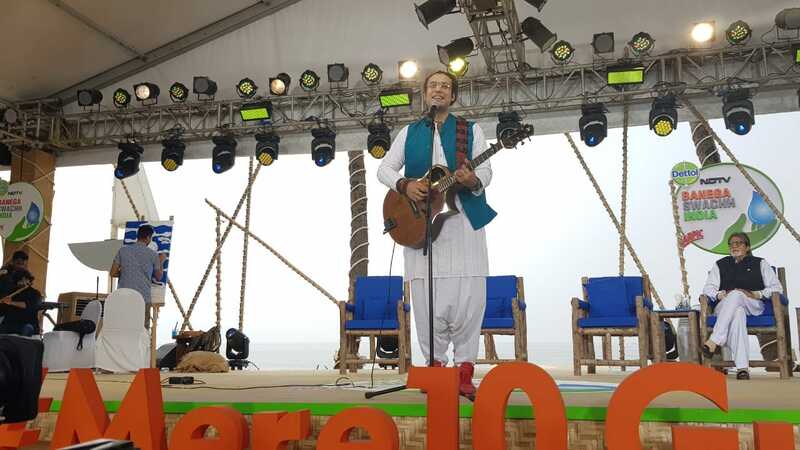 Afroz Shah, Versova beach clean-up warrior joins the Cleanathon with what he does best, let his actions speak louder than words. 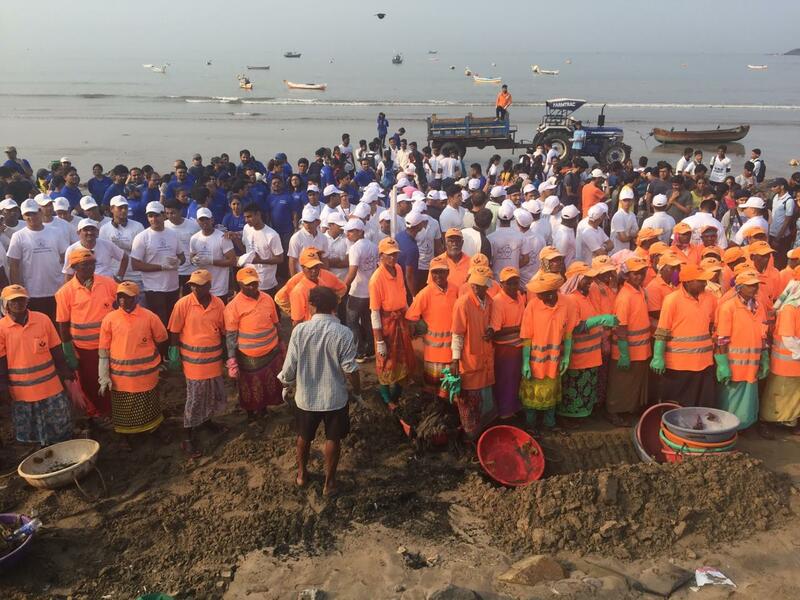 1500 volunteers gathered for the clean-up at the beach this morning. 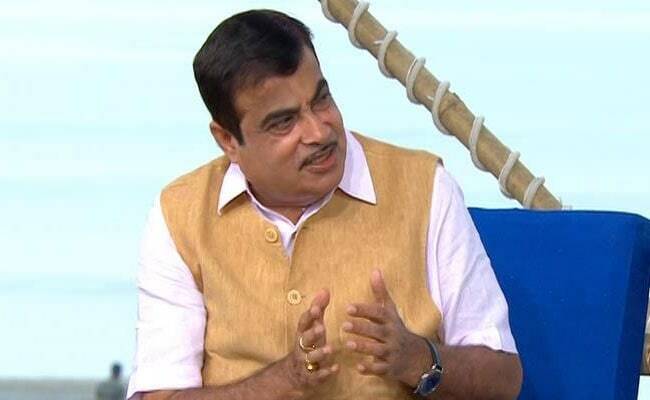 Waste to wealth is the way forward to make India clean: Nitin Gadkari. Final technical checks in progress in the production control room. 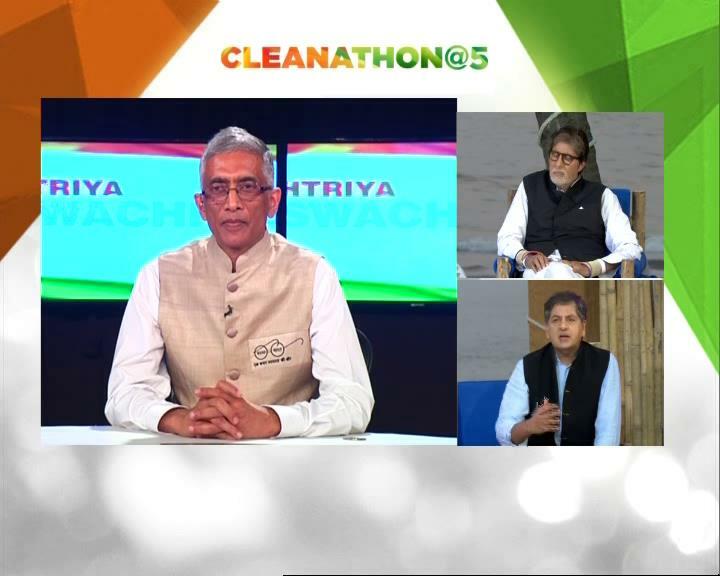 For the last five years Cleanathon celebrates Gandhi Jayanti as Rashtriya Swachhta Diwas. 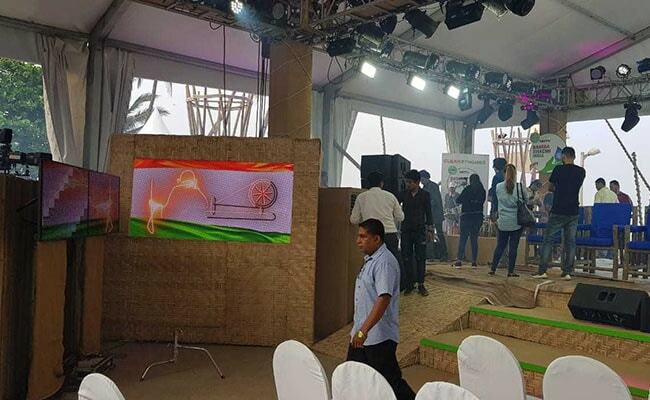 Less than an hour to go for the Cleanathon and preparations are in full swing. 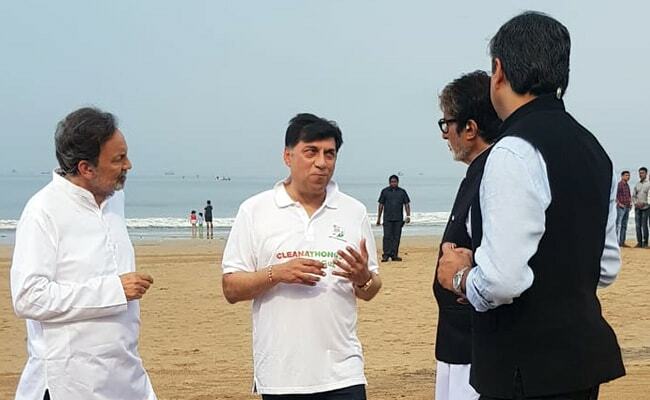 Cleanathon@5 aims to look back at the achievements of the last 5 years and hopes to set the agenda for the Banega Swachh India campaign going forward. 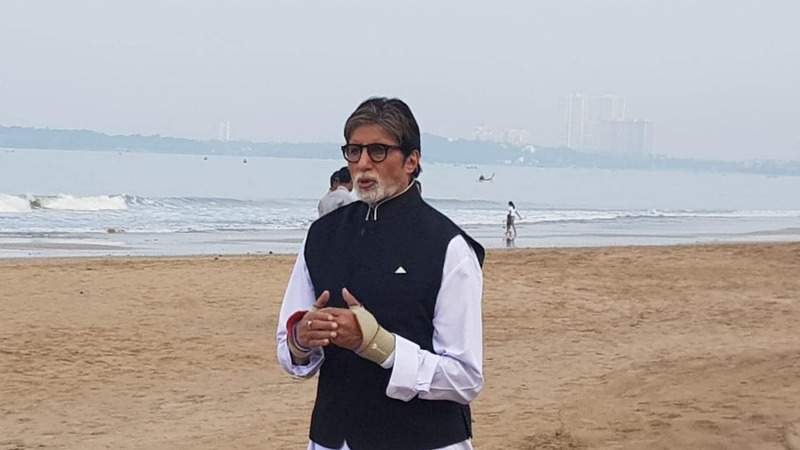 Cleanathon@5 calls on people plant trees and upload images or videos of their plantation drive to be a part of the 12-hour Cleanathon and celebrate Rashtriya Swachhta Diwas this year. 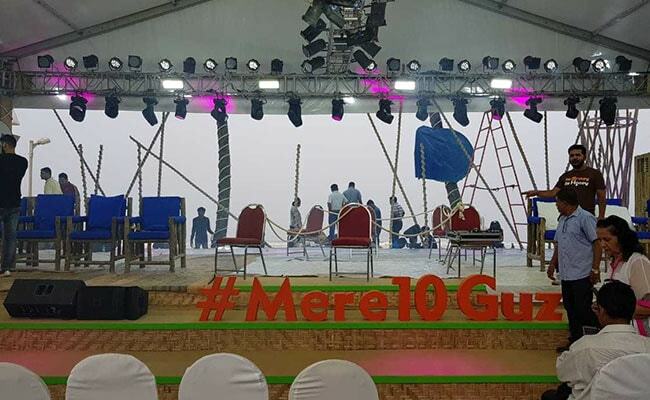 This year on October 2 to celebrate Gandhi Jayanti as Rashtriya Swachhta Diwas, Cleanathon@5 urges people to plant trees in their surroundings as part of the #Mere10Guz initiative. 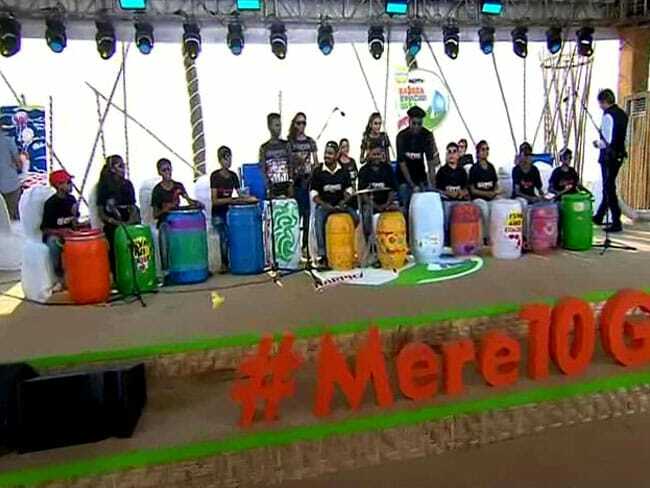 Cleanathon@5: In its fifth year the annual Swachh India Cleanthon takes the #Mere10Guz agenda of keeping 10 yards of ones surroundings clean forward. The agenda for Season 5 covered sanitation, WASH, air pollution, cleanliness, health and hygiene. People do the right thing of putting the garbage in the dumpster instead of on the road, but if those dumpsters are not being taken to landfill at-least once a day.. its going to overflow and rot.. 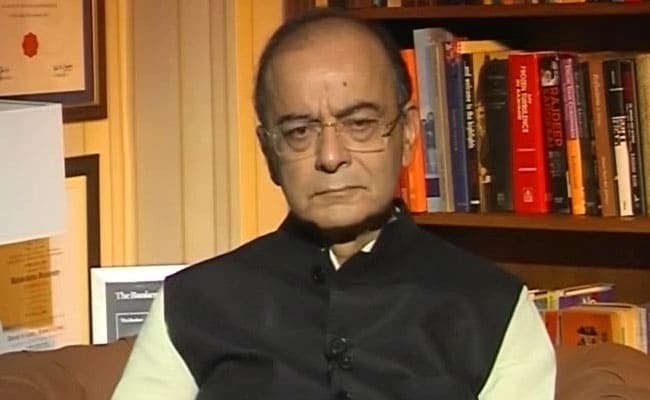 This Modi government is taking “swachh bharat tax” on each phone bill, why can’t they implement the robust infrastructure for seamless flow of the trash out of the city… just like DRDO or ISRO have another organization for waste management or ask private companies like wm.com to come to India. 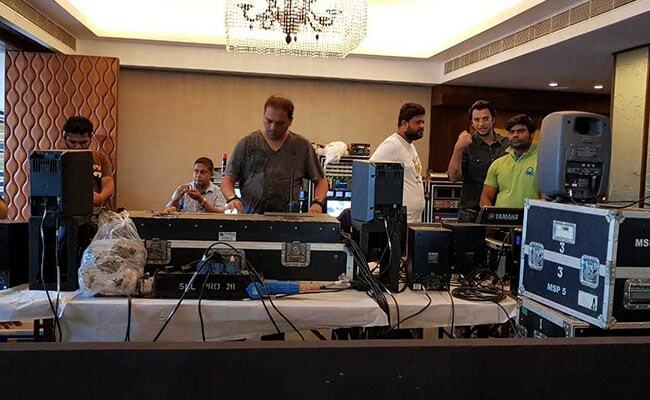 Is this your propoganda for Modis election mode?Dont go in any event mode as Modi.Why this tamasha on TV live? 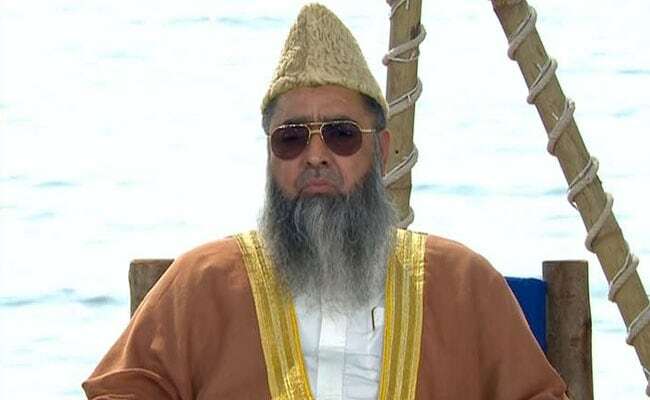 You all should have gone to remote parts of India to promote these kinds of events,but everyone knows you wont get any TRP,you too exactly following in the footsteps of one and only one event master Modi.I hope you must be happy to get acclaim from event master Modi for your high event programme.Poor people needs more advise and supports for their welfare,health and cleaniness especially those staying in slums,not the rich and middleclass needs any advice from anyone as they are masters of their own. Just rubbish discussion. On ground only shoddy work. 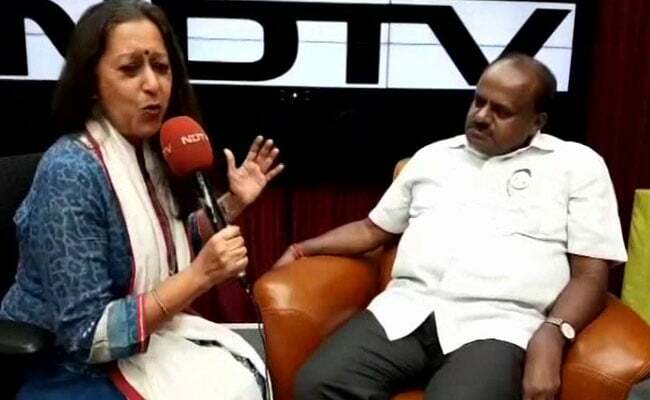 Simply talks with no substance. 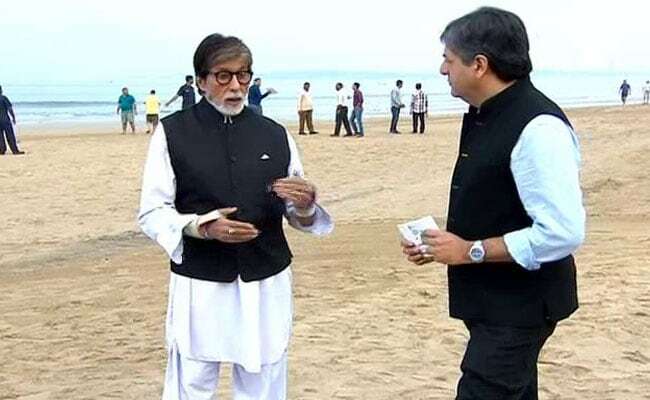 You too are following in the footsteps of BJP in showing off the event,what were all these fuss on live TV ,why not go to the remote parts of villages were there are no infrastructures for toilets,hygenics problems which is the cause of illness,ofcourse there are many villages which requires cleaniness,you should have been there with all these stars and planets.Big cities have all the facalities to clean the city,they collect crores of rupees in taxes,they dont need any help or advice,they only need some hammering from court or people to throw them out if they dont do their job.You are no less than Modi,who is Master of Event,I think you have taken a leaf out from him.He was the only person who praised you for your good event management show.Do you think is it going to help with all these tamasha.I doubt. 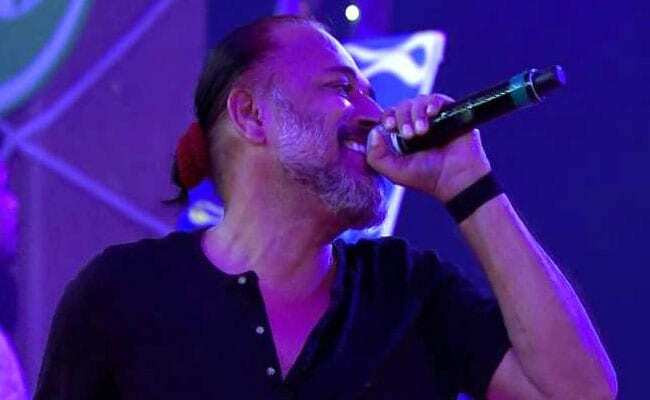 Can you from your channel and along with the celebrities send request the to big boys like Coke and Pepsi to stop selling their soft drinks in plastic bottles and switch back to glass like before 20-30 years back. 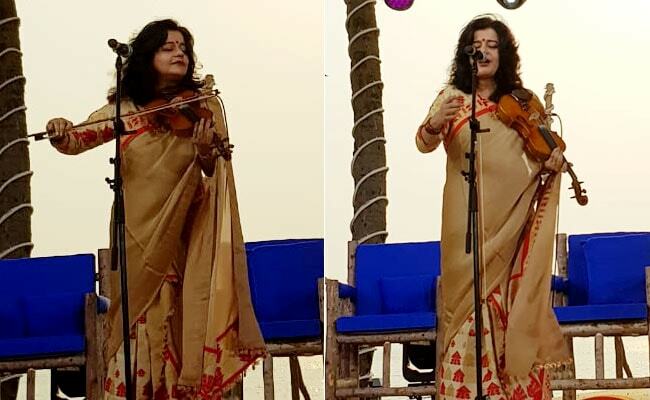 That itself will help to curb the plastic menace a lot. 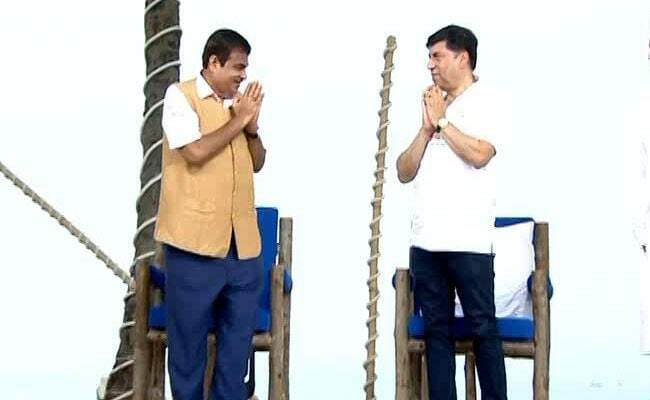 Convenience cannot be at the cost of environment. 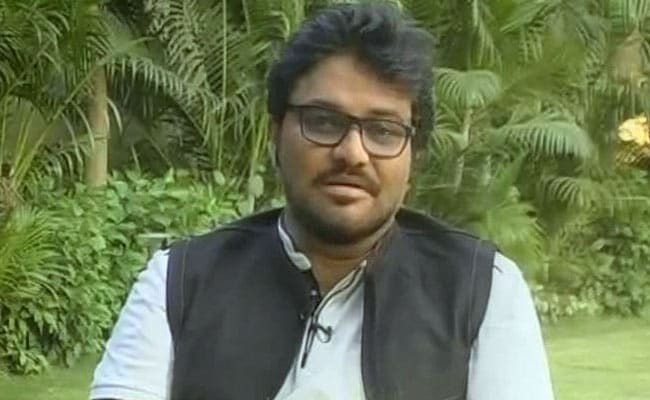 Great work NDTV. Keep it up. Have we lost 2nd October charm as birthday of Mahatma Gandhi our Father of Nation, as per plan and taken over by Swachbharat. 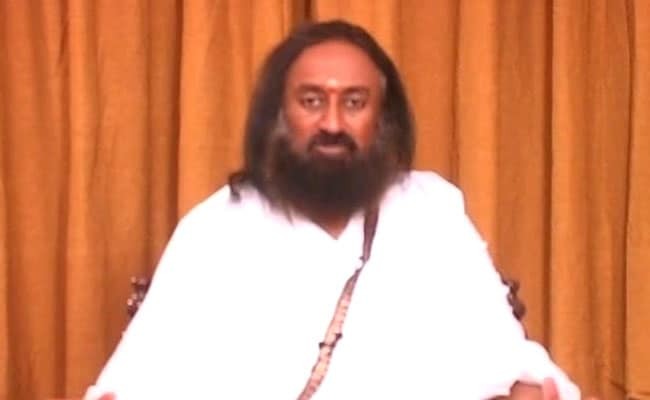 pl do’t divert from basic issues. 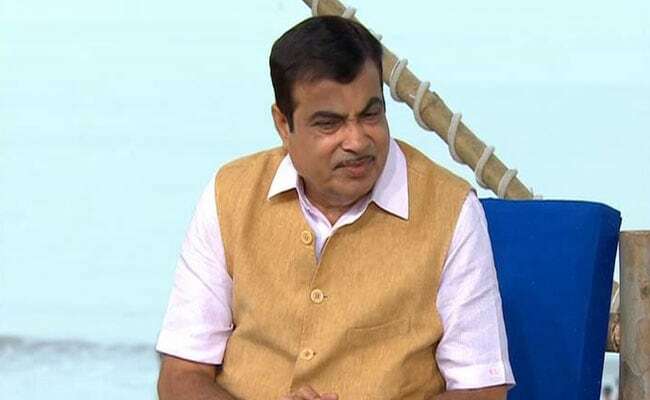 pl talk about petrol fuel price. 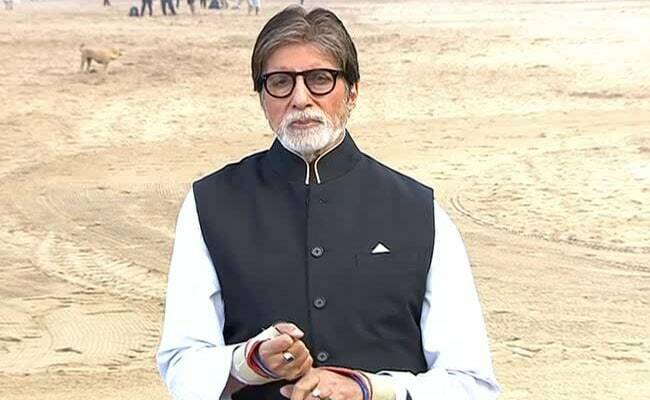 Can someone ask Amitji why he is silent now on petrol price. 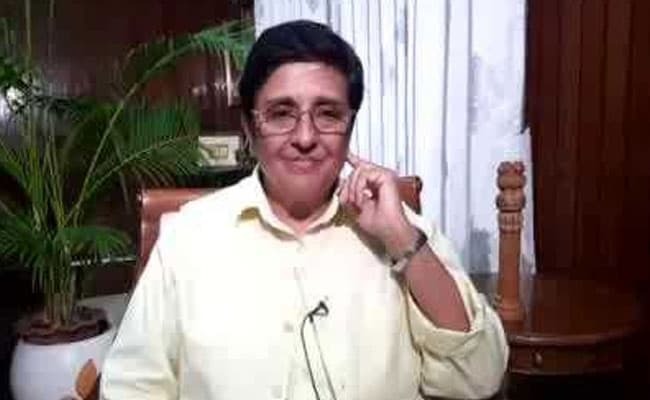 I got an idea for value of cleanliness from your discussion and the need of toliet in each house.